Supernovae, Dark Energy and Robotic Telescope. Professor, Department of Astronomy, Faculty of Physical Sciences and Mathematics, Universidad de Chile. Since 1973 until 1978, “Teaching Assistant”, University of Toronto, Toronto, Canada. Since 1968, academic member, Department of Astronomy, Faculty of Physical Sciences and Mathematics, Universidad de Chile. Chilean Academy of Science, Since 2003.
.	1986-1988 User’s Committee CTIO. 1993-1994 Chilean representative to the Scientific Committee, Gemini Project. 1995-2000 Chilean representative to the Time Allocating Committee (OPC) European Southern Observatory, nominated by the Chilean Government. 1997-2000 President of the Chilean Committee to the IAU (International Astronomical Union). 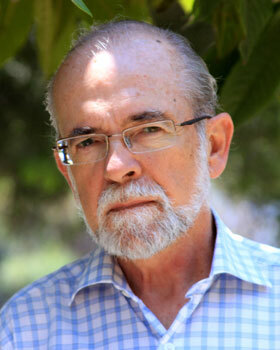 Since 2002 Chairman Chilean Time Allocating Committee, Gemini (CONICYT). 1992-1993 Astronomy advisor to the Minister of Education. 1995-2006 Member of the Advisory Committee for Astrophysical matters to the President of CONICYT. 1999-2006 Chairman of the ESO-Chile Committee. 2000-2002 Member of the Executive Board of “Proyecto Explora”, CONICYT. 2006- Member of the Board of the GEMINI Fund, CONICYT, Chile.